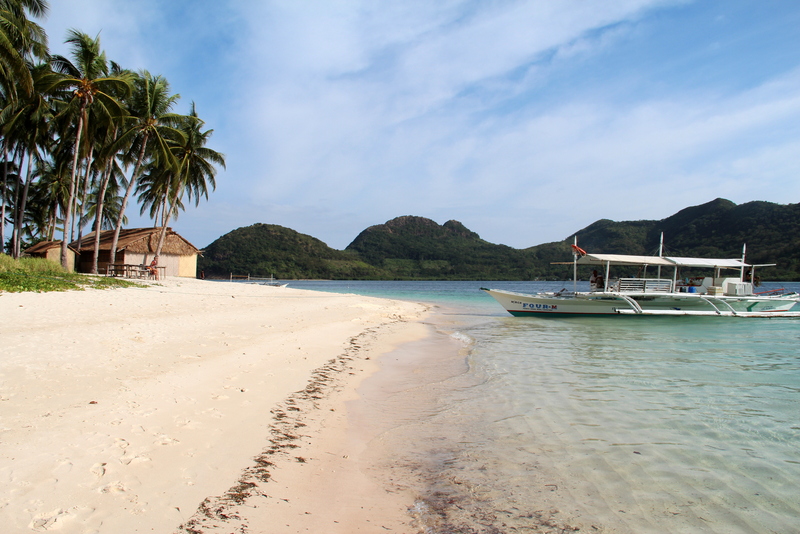 Getting from Coron, where we came for wreck diving, to El Nido, the travelers’ hub of Palawan, is not as easy as one would expect. 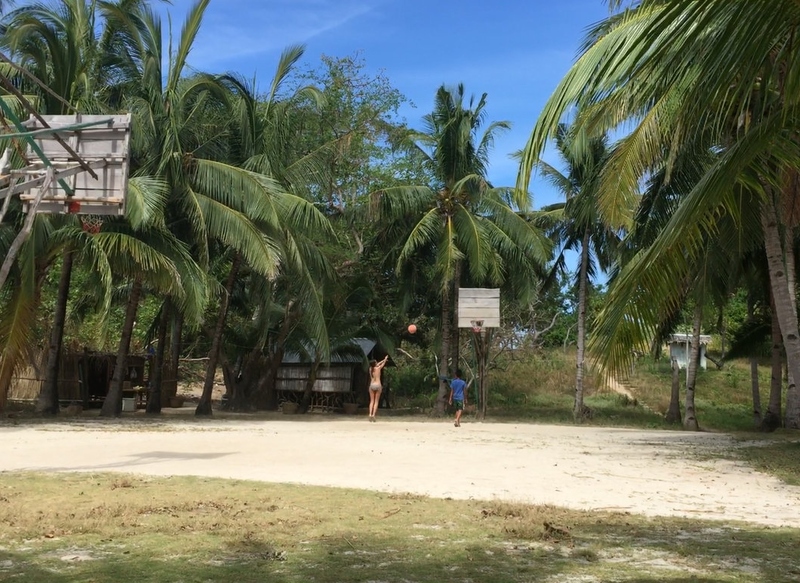 There are no flight connections, so most people are forced to pick one of the two, or try their luck in rather unreliable bangkas (7-10 hours and several mishaps). 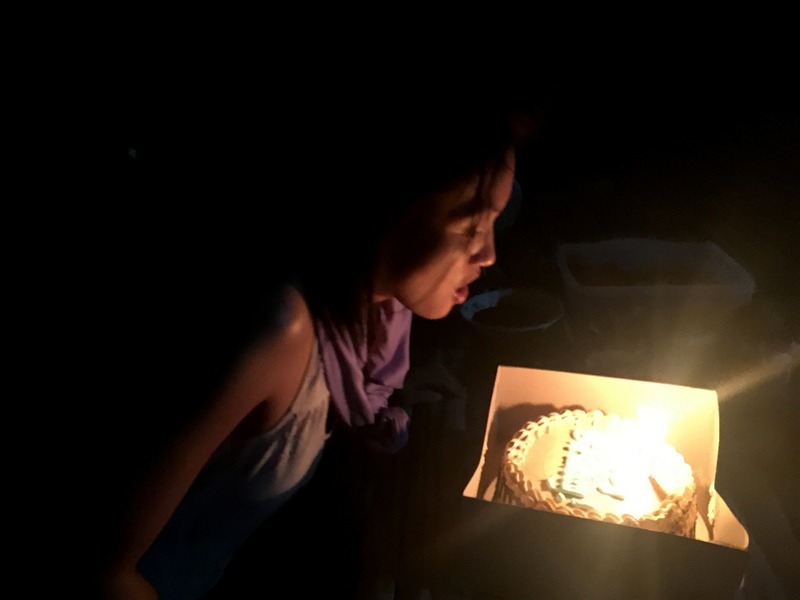 Because we didn’t want to waste a precious day and wanted to do something special for Elena’s birthday, we contracted a private 3d/2n trip with Abandon Paradise Expedition. I cannot recommend them enough; Don and Fred are very professional and fun, and they offer a memorable experience. 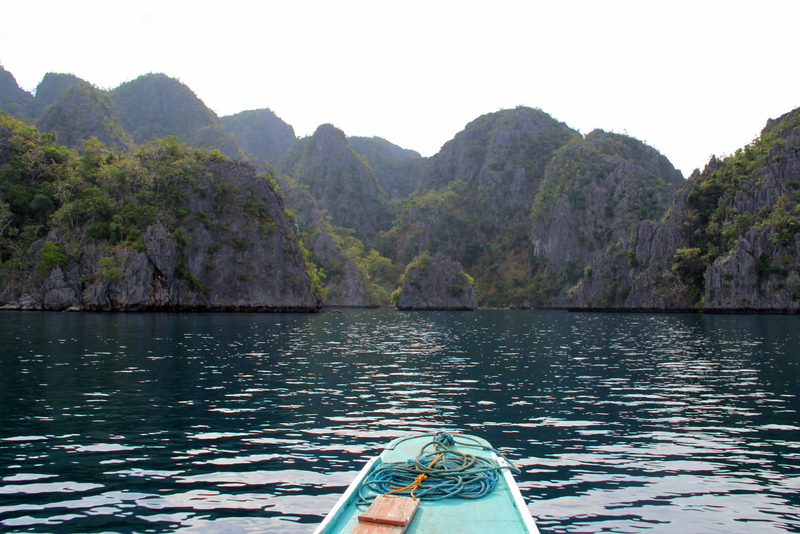 At 9 am we were already on the boat, sailing towards our first stop: Kayangan Lake. 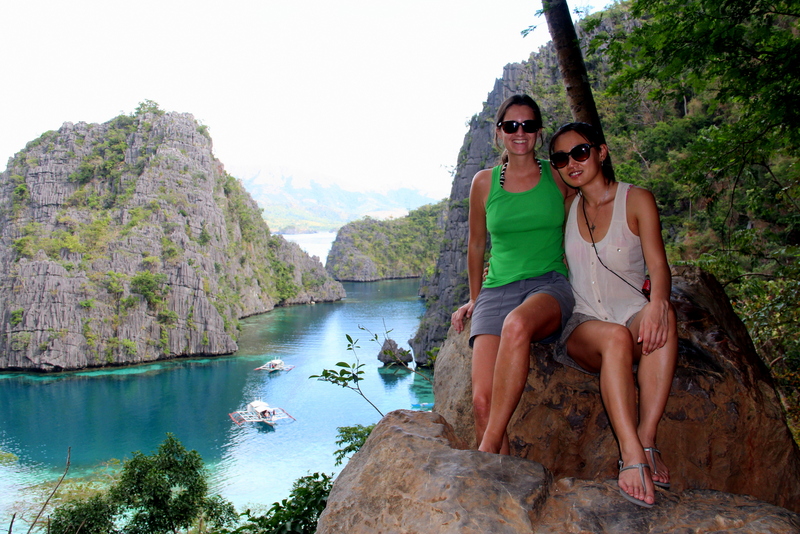 After docking on a tiny beach, we climbed for 5 min to get the best overview of Kayangan Bay. 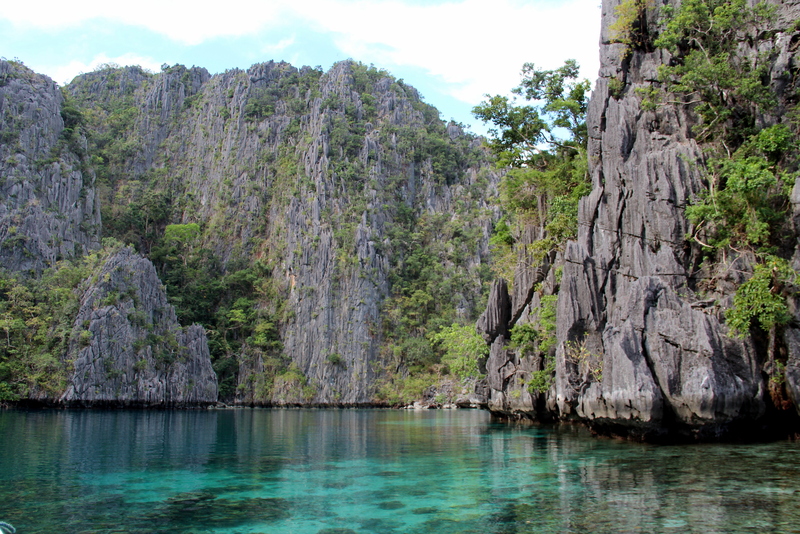 If the approach had already been gorgeous, the elevation allowed us to fully enjoy this scenic place: unique karsts limestone formations surrounded by waters in 50 shades of turquoise. Down to the sweetwater lake on the opposite side, another beautiful view (which we totally forgot to capture). We swam and snorkeled for a bit, enjoying the perfect visibility and the sharp karsts, which reminded me of a gothic cathedral. 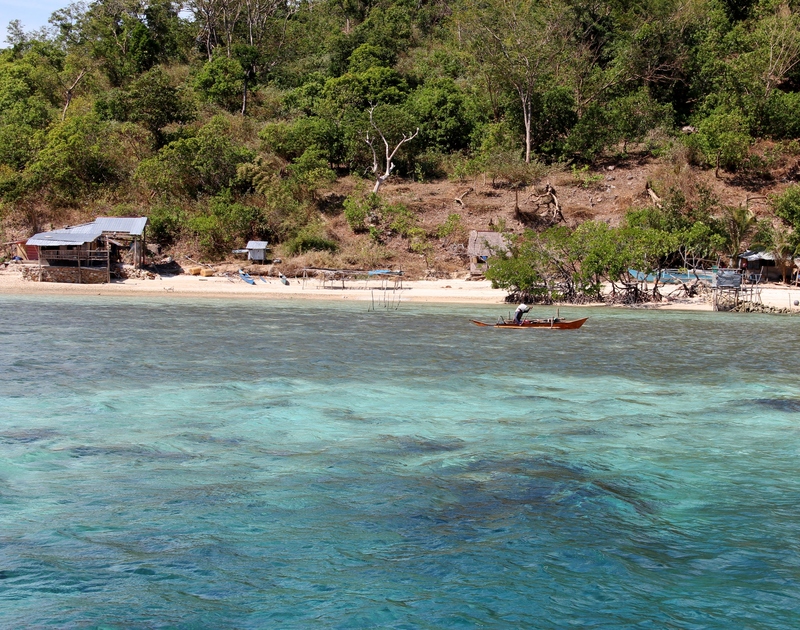 We sailed another 1.5 hours to our final destination for the day: a lost cove in Culion Island. 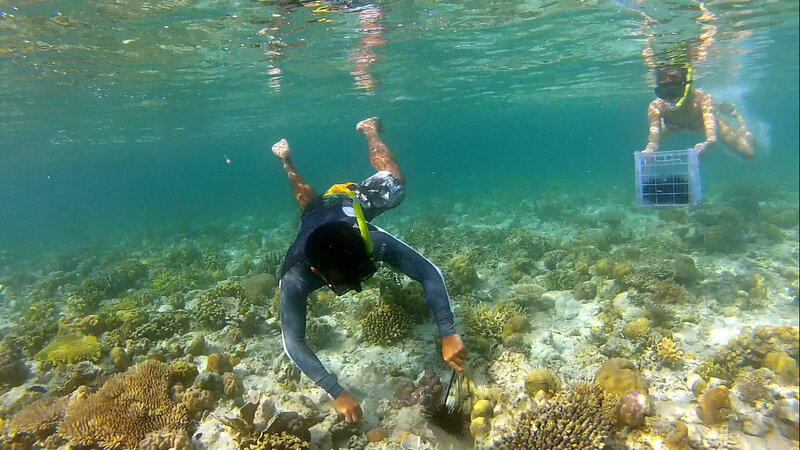 After buying some fish from the locals, we decided to go snorkeling and catch some sea urchins. 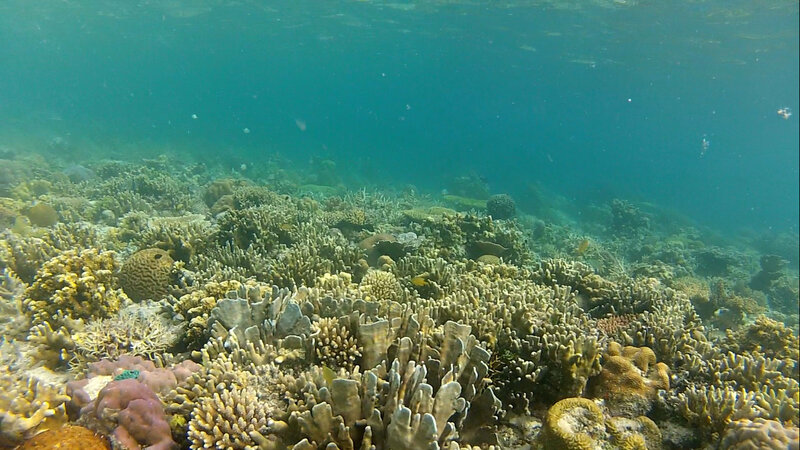 The waters were extremely clear and the coral was colorful and in perfect condition. It was easy and fun, as we all took turns finding and collecting the spiky animals. We were a bit disappointed later, when we found out that they were not the yummy uni we expected, but only tiny pieces, though with the same flavor. The sun was going down quickly, and we walked around and enjoyed sunset, before getting ready for dinner. Again, the food was delish: crabs, fish, rice, and cake and rum to celebrate Elena’s birthday. We chatted for ours, debating about life, traveling and politics… amazed by how informed our guide Fred was on international events. It had been an absolutely perfect day. And we enjoyed it even more because we knew it might be the last one, since a typhoon was coming our way forcing us to cut the expedition short, and get to the main island as soon as possible. The next morning we got up early and started sailing south. The waters had changed completely, and even though there was no storm yet, you could feel the waves and the current beating up the boat and slowing down our progress. 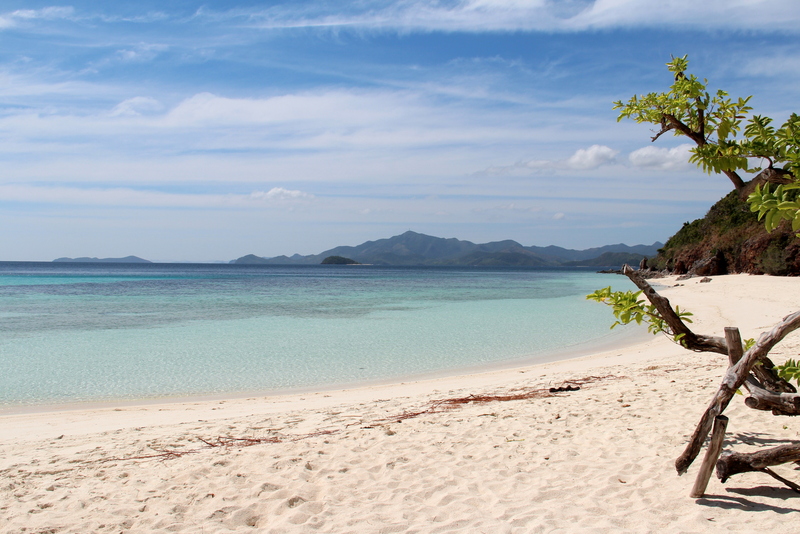 We still got to enjoy a last snorkel and a squid and fish lunch on a deserted island, the last break before pushing all the way to the north shore of Palawan, a rather unpleasant journey. 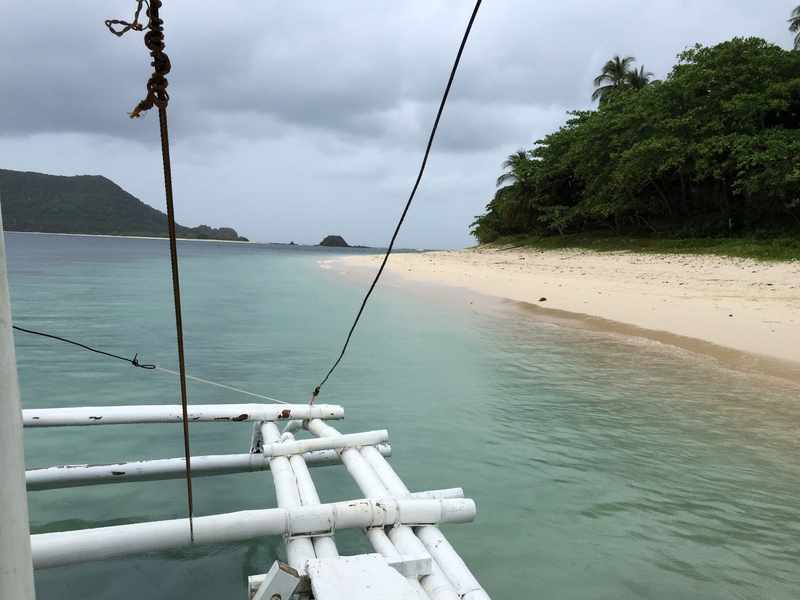 A van picked us up a couple hours short of El Nido, once the boat couldn’t continue. One day I’ll go back and complete the expedition, taking as long as needed to explore all the small paradise islands of the archipelago.